Booklets are available in packages of 15. 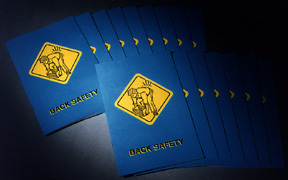 Both text and illustrations are used to review important points of Safety, Health or Regulatory Compliance topics. All Booklets are 16 pages in length. Call or fax in your order at the numbers listed above. Copyright © 2001 Nevada Technical Associates, Inc.